This March, come to Café Kantary for a real Tokyo Treat!. 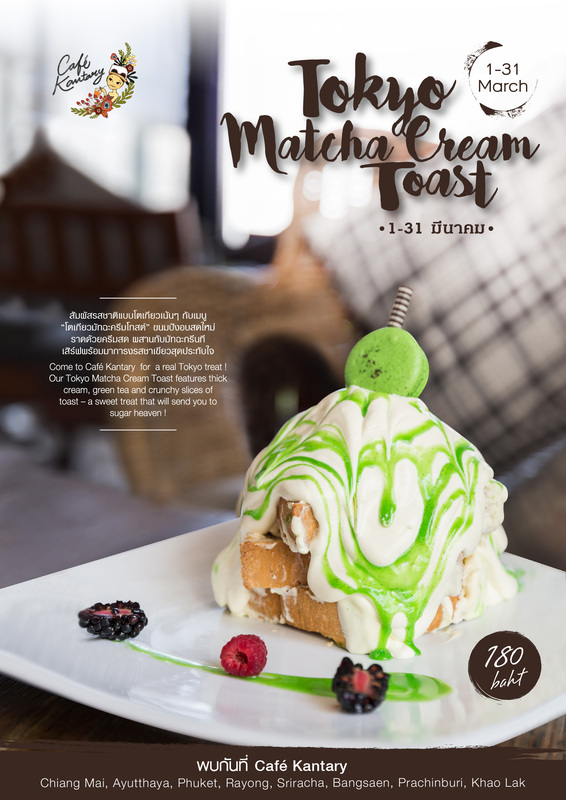 Our “Tokyo Matcha Cream toast” features thick cream, green tea and crunchy slices of toast is available for only baht 180 at Café Kantary all locations across Thailand! For more information, please contact the Cape & Kantary Call Centre at: 1627 or visit our website at www.cafekantary.com. วันที่ 3 มีนาคม 2559 เวลา 12:44 น.